The pre-construction condo market got really weird this past January. Out of nowhere sales doubled on a y/y basis. 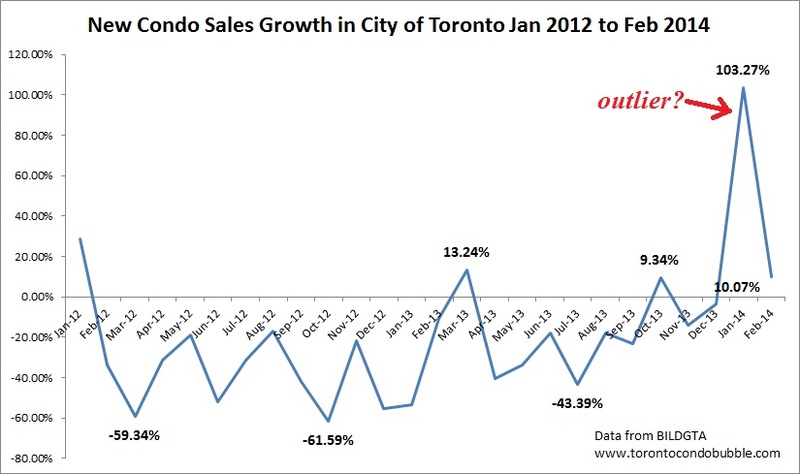 In fact it was the strongest January ever for new condo sales in the city. Long story short - it looks like the first explanation was correct. 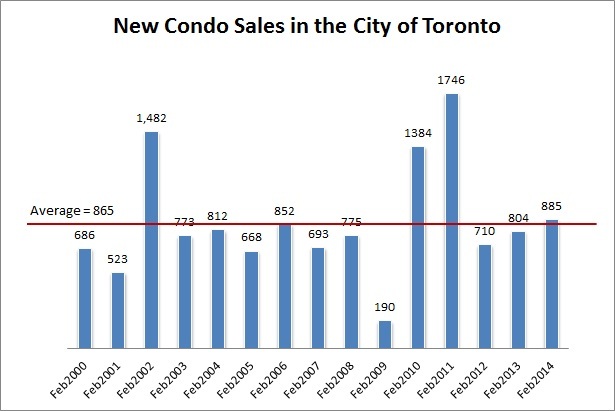 New condo sales in the City of Toronto increased 103% in January 2014 but the rate of growth slowed down dramatically in February 2014 to just 10%. So investors were not back after all and since February was as cold as January, it looks like wind chill didn't interfere much with rational thinking. 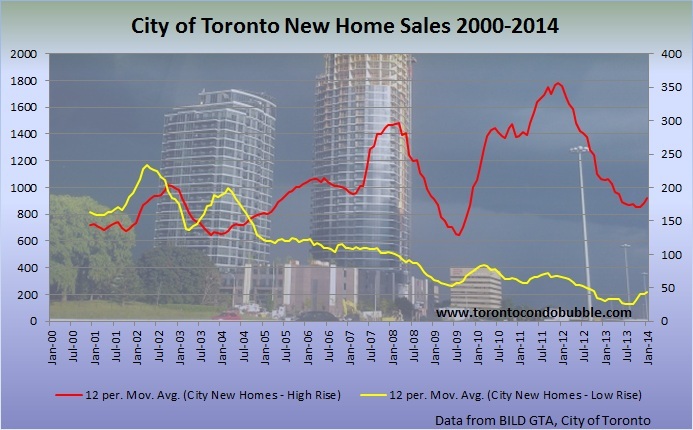 New condos in the City of Toronto were slightly above a 14 year average. 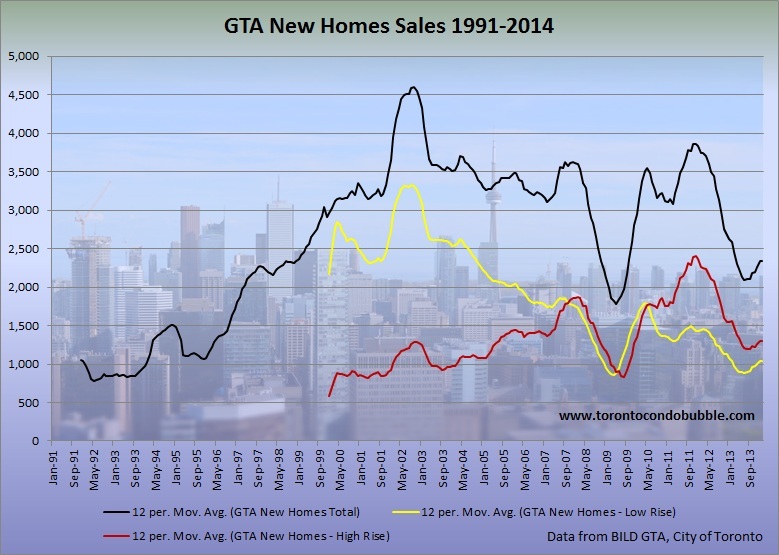 Finally, it looks like new low rise prices have plateaued. 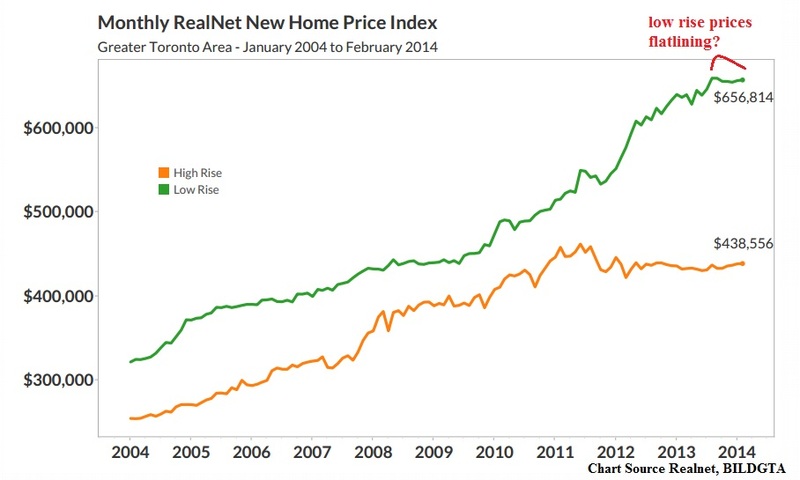 Does the low rise market finally understand that prices were getting a little bit too high?